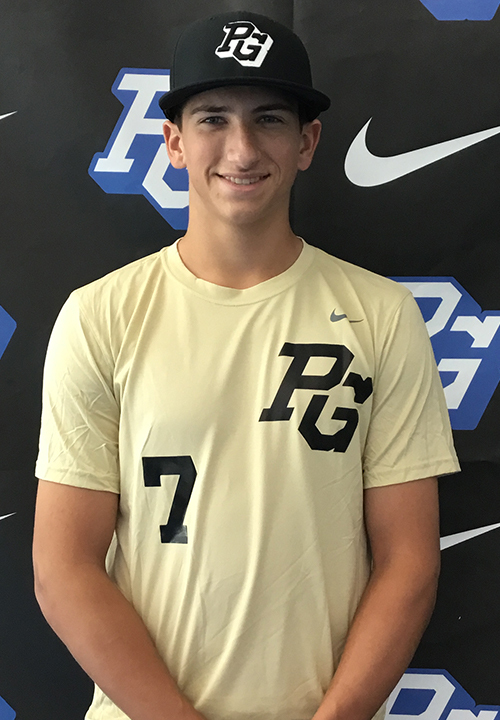 Dutch Landis is a 2019 RHP/1B/3B with a 6-2 180 lb. frame from Henderson, NV who attends Bishop Gorman HS. Loose projectable athletic build, plenty of room to get stronger. High 3/4's to an over the top release point, arm works well and the ball comes out easily. Fastball topped out at 92 mph, mostly straight and tended to be up in the zone. Curveball was his most effective pitch, big eye changer with 12/6 shape, could throw it more often. Flashed a developing change up. Key to development will be establishing consistent vertical command. Verbal commitment to Arizona.